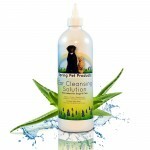 Animal Bliss received a bottle of The Pet Doctor Liquid Glucosamine for Dogs in order to write a review for this post. We are not being compensated in any other form for helping to create product awareness about this product. 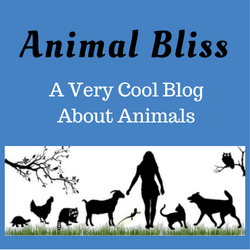 The Pet Doctor Supply Co. is not responsible for the content of this article, and the opinions are my own (and Jake’s). 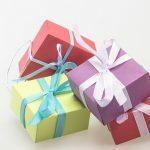 This post may or may not contain affiliate links. This is Jake. Jake needs all the help he can get. Some of you may know Jake already. We rescued him a couple of years ago from a lifetime (12 years) of living in a wire cage, day in/day out, all year long. Winter, spring, summer, and fall. There was no flooring to speak of in the cage, so Jake spent his first 12 years standing, sitting and laying on wire. As you can imagine, his joints have suffered greatly. As a result, Jakes doesn’t do much walking, or running. He limps a lot and hops like a bunny, which is a clear sign of hip joint troubles. 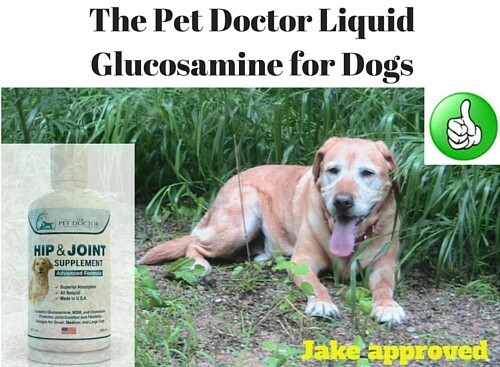 Taking a liquid glucosamine for dogs is not ever going to make Jake feel like a young pup again, but it will help build his joints up and keep him from feeling so much pain. 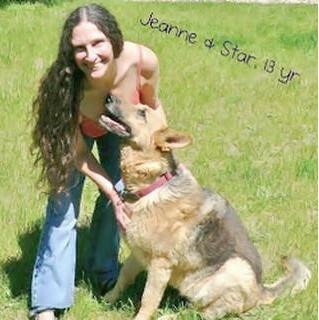 We tried The Pet Doctor Liquid Glucosamine for Dogs for 30 days before writing this review. Jake still doesn’t like to walk much, but we have noticed a decrease in his limping. He seems to be more alert and we think that’s because he’s not in so much pain. He’s still gung-ho for a car ride, and he has an easier time running (hopping) to the car, at least. And that’s good enough for us. 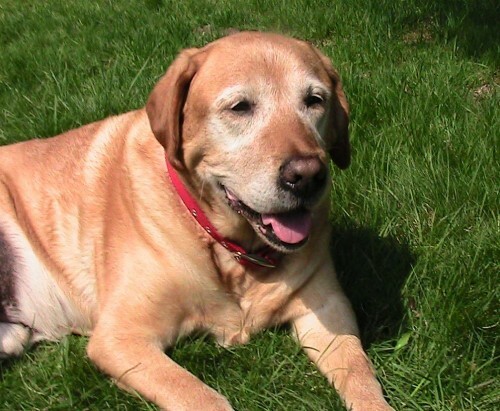 We plan to keep using the Liquid Glucosamine for Dogs as long as it’s helping Jake. It’s liquid, so we don’t have to trick Jake into taking a pill. Jake doesn’t seem to mind the taste at all, which is a huge plus. 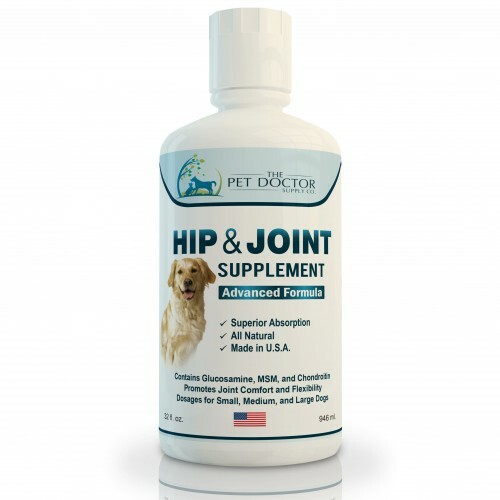 This particular formula is EXTRA STRENGTH, containing Glucosamine, MSM, and Chondroitin, and is formulated for dogs of all sizes. You can try this product RISK FREE FOR 365 DAYS! 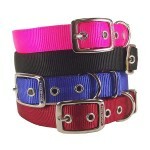 The Pet Doctor is offering a Special 25% OFF Coupon to all Animal Bliss readers and fans. 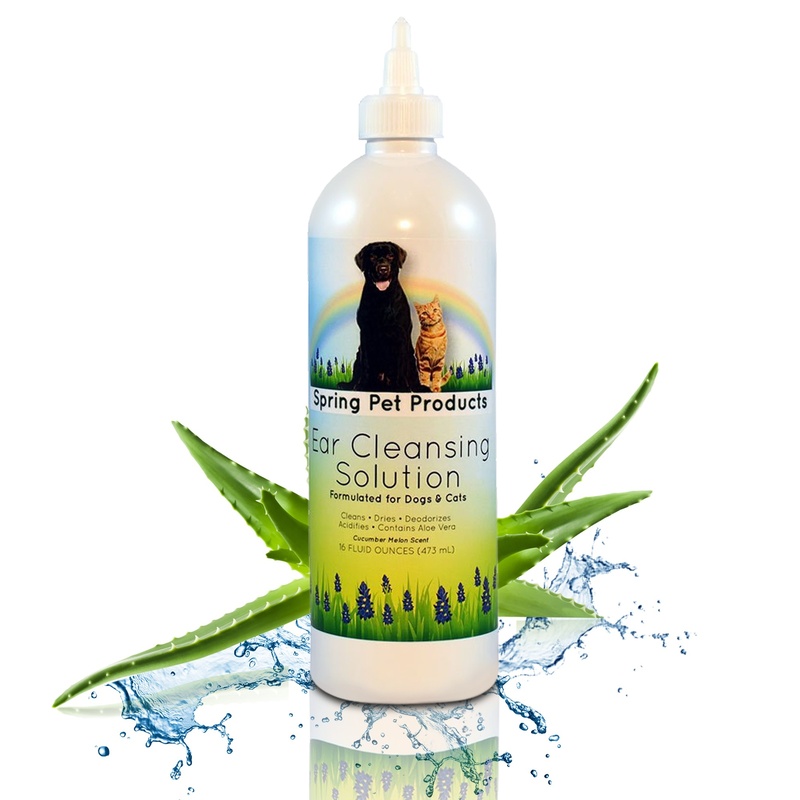 Simply use the code “AnimalBliss” when you purchase The Pet Doctor Liquid Glucosamine for Dogs from Amazon to get your 25% off discount. The coupon code is valid for 365 days from the date of this review posting. 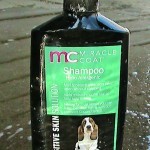 Do you give glucosamine products to your dogs or cats? It’s great that Jake isn’t in as much pain anymore! 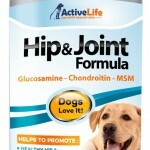 Glucosamine can be a great help to people suffering from arthritis, and apparently it can help pets, too. I hope that Jake continues to be able to live in less pain for the rest of his life. Thanks for sharing! Thanks for stopping by, Hazel.